Say, What Was The GDR?! A production by the Alice Museum for Children in the FEZ Berlin and the Luther Memorial Foundation in Sachsen-Anhalt. A production by the Alice Museum for Children in the FEZ-Berlin and the Edwin Scharff Museum in Neu-Ulm in cooperation with the ZOOM Children's Museum in Vienna and the children's museum FRida & freD in Graz. An historical adventure for children and young people. An interactive exhibition of the Alice Museum for Children in the FEZ Berlin in cooperation with the Francke Foundation in Halle. In cooperation with the K!lick Children's Museum in Hamburg. 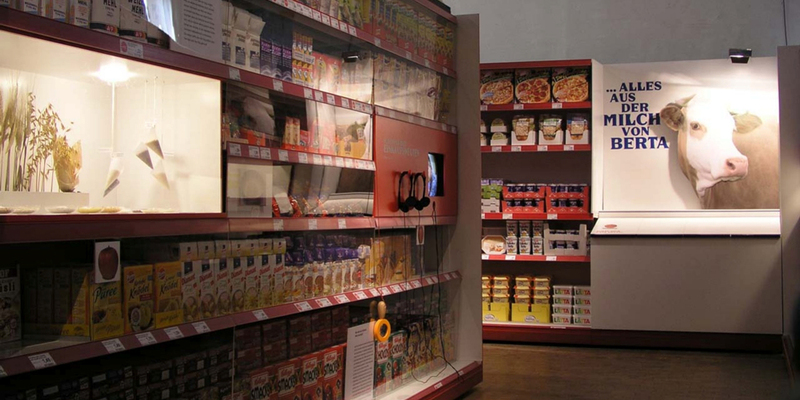 An interactive exhibition for big and small. An exhibition about the before and after. 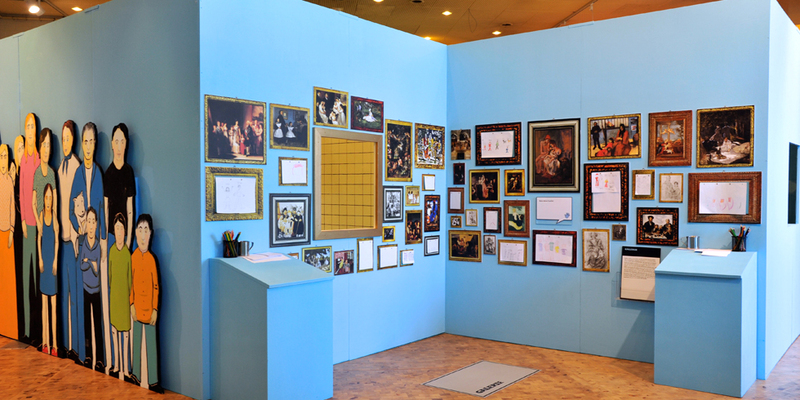 An interactive exhibition in the FEZ from the Zoom Kindermuseum in Vienna aimed at kids aged 6-12. 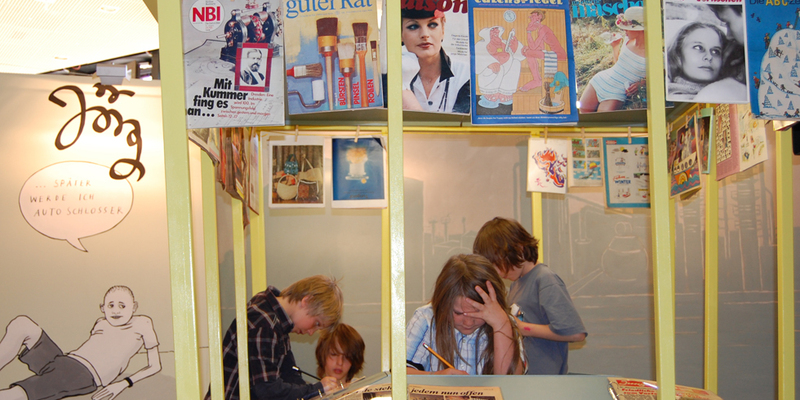 An interactive exhibition for familes from the Rheinischen LandesMuseums in Bonn/LVR, the Kinder Akademie in Fulda with the support of MAUS OLEUM exhibition society and WDR in Cologne. An interactive building site on Petriplatz, Berlin. A project of the Alice Museum For Children in the FEZ with the support of zapf umzüge. Say, What Was The GDR? Guck malLook What You're Buying!